System Requirements: A Zune for full functionality, or any MP3 player with a 3.5mm audio jack for sound (power will not be supplied to non-Zune devices). Specifications: SOUND PRESSURE LEVEL (SPL): 100 dB. TOTAL CONTINUOUS POWER: 60 Watts RMS. SYSTEM RESPONSE: 60 Hz - 20 kHz (-10 dB). SIGNAL TO NOISE RATIO: @ 1 kHz input: > 70 dB. DRIVERS: (per Satellite): Two 3” full-range drivers and two silkdome 1” tweeters. DIMENSIONS: 14” (W) x 5.4” (D) x 8.2” (H) (354 mm (W) x 137 mm (D) x 208 mm (H)). Further specifications here. No option for battery power, so it's not truly portable. 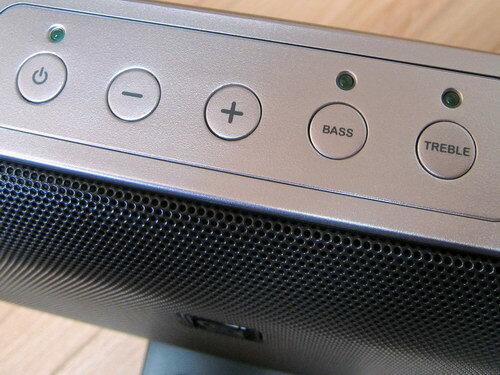 Being the Zune fan that I am, I have a natural inclination to applaud any company willing to release Zune accessories in the iPod-saturated market we live in – so it's safe to say that I was somewhat pre-disposed to like the Altec Lansing Zune speaker dock. Despite a lot of nice features, it just can't deliver my music the way I want to hear it – but my ears are different than yours, so this may still be the solution you've been looking for. Altec Lansing has been making computer speakers for a long time – I still remember back in the early '90s as a young man saving up my money to purchased a pair of Altec Lansing clamshell computer speakers. They were unlike any other computer speakers on the market at the time because they could go so incredibly loud, and sounded so incredibly good compared to most of the crap-tastic computer speakers available at the time. Fast forward nearly two decades: Altec Lansing is still around and still making computer speakers, but they've also branched out into making integrated speaker docks for MP3 players, most notably the iPod. When the Zune was launched, they quickly came to market with a Zune dock and they were kind enough to let me review one. Here's a photo walk-through review. 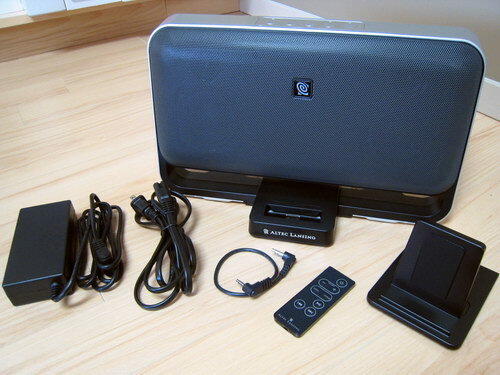 Figure 1: Out of the box you, from left to right, you have the power brick (which is unfortunately quite large, the power cable, the speaker dock itself, a short 3.5mm to 3.5mm cable, the remote control, and the generic dock. 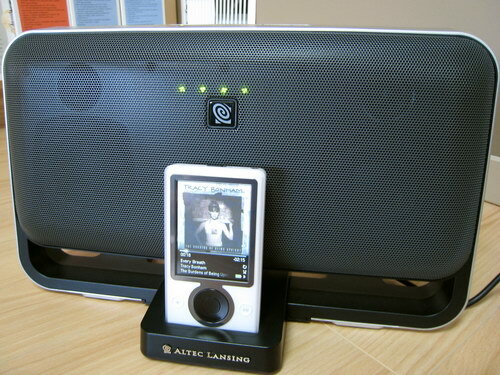 A word about the generic dock: Altec Lansing wisely included options necessary for allowing this dock to work with any MP3 player on the market, not just a Zune, but only from a sound perspective. Meaning that the 3.5mm audio cable will allow you to pump audio from the MP3 player into the Altec Lansing speaker dock, and the plastic tray will allow you to perch the MP3 player in the dock, but it won't receive power to recharge, and there's no way to connect the video functions of any MP3 player other than the Zune. It's a nice touch, but I found that no matter how many times I tried, I wasn't able to get the plastic dock adaptor to snap into the dock in any way, so when I connected my Zen Vision:M player it just sat there on top of the plastic dock that wasn't really connected to the base. Not a big deal, but it would have been nice if Altec Lansing had made the plastic dock adaptor easier to insert [update: just prior to publication I finally got it snapped in properly]. Figure 2: The remote control is a standard affair, offering power, volume up/down, a bass/treble control (you press either the bass or treble button then use the volume up/down to control it), a play/pause button, and next/previous track buttons (that also function as fast forward and rewind if you press and hold). Notice the lack of any sort of menu button – I'll get to that below. 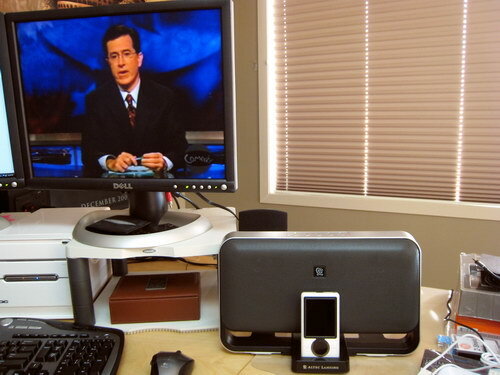 Figure 3: The speaker dock itself is designed to look great in any decor. The design is simple, but I think it's quite attractive. Smooth lines, a pleasing rounded shape, and cut away on the bottom to make it seem like it takes up less room than it really does. All around a great visual design. 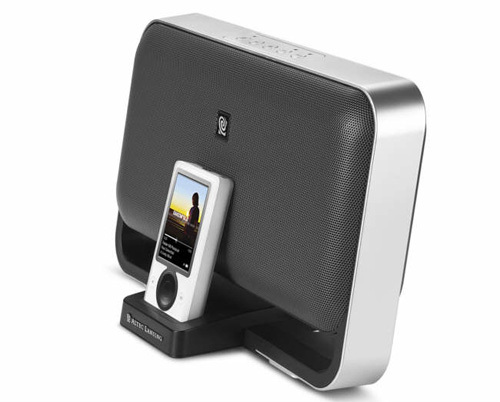 Figure 4: On the top of the speaker dock are the manual controls. From left to right, we have power, up, down, bass, and treble. 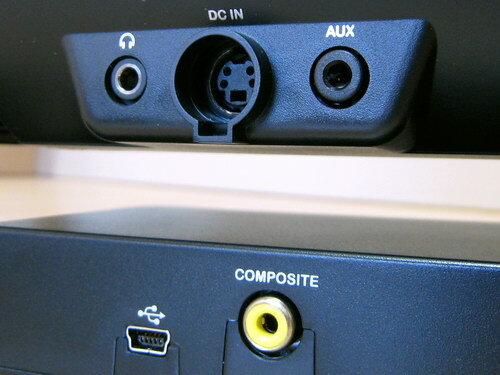 Figure 5: The back of the speaker dock has a headphone jack, the power jack, an auxiliary input (this is where you connect other MP3 players), a miniUSB input for the connectivity function, and a composite video output. 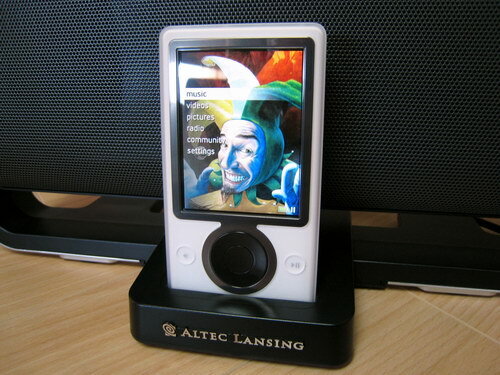 Figure 6: The single biggest problem with the Altec Lansing Zune dock is shown right here: the Zune menu system. There's no way, either with the remote or directly on the unit itself, so return to the root Zune menu or drill down/up in the menu system in any way. What that means in practical terms is that you need to walk up to the Zune and use the control pad to select the music or video that you want to access. 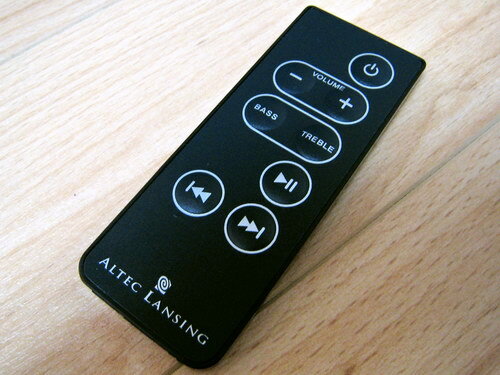 Once a playlist, album, or video has been selected the remote control is useful to control it. But what's the point of having a remote control if you have to get up and walk over to the Zune to change albums or music genres? I think this is a huge flaw in the product and am baffled that Altec Lansing would consider this acceptable. 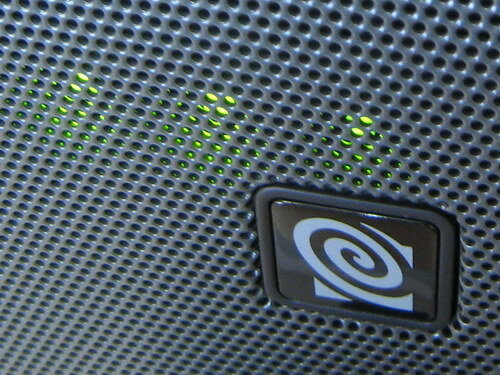 Figure 7: A nice touch is the green dots that appear under the speaker grill when you're adjusting the volume, bass, or treble up or down. Because there's no display telling you the volume level, this is the only way you can see what it's set at. A few seconds after you stop the adjustment, they vanish. 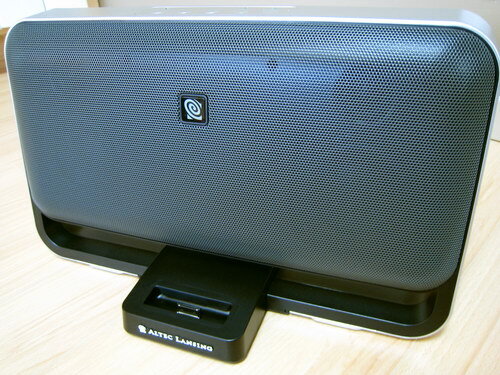 Figure 9: The Altec Lansing Zune dock has a nice, slender profile: it's only 5.4 inches deep from front to back, 14 inches long, and 8.2 inches tall. 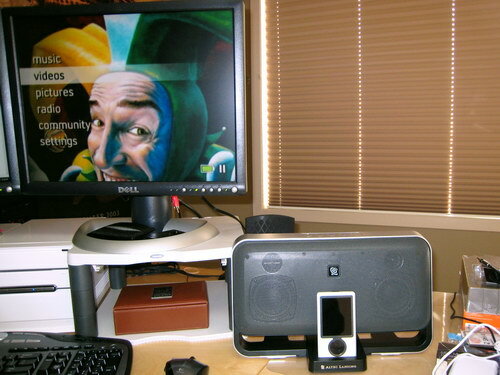 Figure 10: I tested the video out mode, and it worked exactly as you'd expect: the Alec Lansing remote control can play/pause/skip video, but you can't queue up a different video without walking over to the Zune and doing it manually. The biggest problem with video out isn't related to the Altec Lansing speaker dock, it's that the Zune software encodes video files to 320 x 240 instead of 640 x 480 (four times the resolution). A 320 x 240 video looks barely passable on the 20.1" LCD monitor shown in the picture, but on a 72" DLP TV, it looks horrible. This is something that Microsoft needs to address as it's a core problem with the Zune. 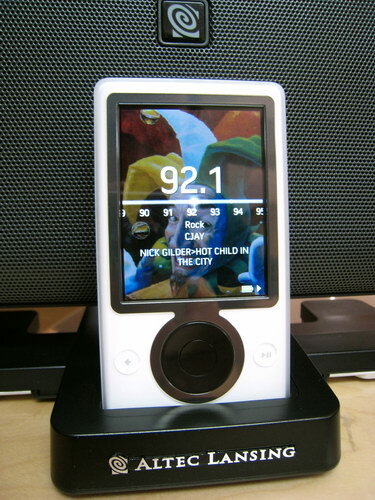 Figure 11: This is what the Zune user interface looks like when connected via video out. It crops the bottom of the wallpaper, but all the controls are visible. Figure 12: Radio works great! In fact, radio is perhaps one of the best reasons for using the Altec Lansing speaker dock because it's something that's harder to do without the dock. The remote control can be used to skip from station to station, and the limitations of the speakers on the sound dock make radio sound about as good as it can. What about audio quality, the core issue with any speaker dock? It's difficult for me to compare this product to similar products, because it's the first speaker dock I've ever tested. Never having owned an iPod, I haven't owned or reviewed any speaker dock prior to this one. Since Klipsch cancelled their Zune speaker dock, and the people at VAF won't even respond to my emails, I can't compare it to any other Zune speaker docks on the market. So where does that leave me? The best I can do is compare it to other speaker systems that I'd connect the Zune to if I didn't have the Altec Lansing dock to use. Because there's no dedicated sub-woofer with this dock system, it's not fair for me to compare it to my set of Klipsch ProMedia 2.1 speakers (which blow it away). Other speaker systems more in line with the Altec Lansing dock would be the Creative Labs Gigaworks T-20 speakers and the Logitech Z-1 speakers, both lacking sub-woofers and around $100 in price, close to the Altec Lansing speaker dock. So how does it compare? Unfortunately, not all that well. Even with the bass cranked to maximum, and the volume at 75% of maximum, these speakers don't move any air. Bass frequencies are hollow-sounding, which makes most pop/rock songs sound flat and lifeless. On the mids and highs, things are better: classical guitar songs sound crisp and clear. A capella vocal tracks sound decent, and the overall volume of the system is loud enough to fill a small room. I'd place the sound quality of these speakers firmly in the "better than nothing at all" camp. Perhaps if you weren't a serious fan of music you might use this on a regular basis, but to be it just doesn't deliver the audio quality I need to hear. It delivers radio well enough. So would I use this product myself? Probably not – it seems ill-suited for many of the scenarios it's designed to fulfill. Because it has the USB connection, it's designed to connect to my PC – but if I'm sitting at my PC, I'd probably want to listen to music on my PC through better-quality speakers. Nix that scenario. I don't have a radio tuner on my PC, so that's one scenario where this product definitely delivers – but I don't listen to the radio very often, mostly due to the idiotic commercials that repeat over and over. On the TV-room front, because the Zune uses 320 x 240 video resolution, it's ill-suited to be kept in my TV room because it can't deliver even a passable TV experience. Nix that scenario. All is not lost, however: I happen to be typing this sitting in an RV trailer at a camp ground (a little weekend getaway for writing), and that's one scenario where the Altec Lansing Zune dock fits well. The sound is on par with small, portable home audio systems that you'd see in an RV. The Zune allows you to carry more music than you'd want to carry in CD form, and the TV out works well enough to be used on the small (sub 27" TVs that you might have in a trailer. So in this instance, the Altec Lansing provides a useful way of extending the functionality of the Zune – but is that a scenario you find yourself in often enough to warrant the purchase of this product? That's for you to decide – for most people, I suspect the answer is no. While it's great that Altec Lansing brought this product to market (unlike Klipsch, who abandoned their Zune dock product), the audio quality just doesn't deliver the music the way my ears need to hear it. Jason Dunn owns and operates Thoughts Media Inc., a company dedicated to creating the best in online communities. He enjoys mobile devices, digital media content creation/editing, and pretty much all technology. He lives in Calgary, Alberta, Canada with his lovely wife, and his sometimes obedient dog. He likes testing speakers, assuming they don't end up sucking.